Lock in a great price for Hotel Krystal – rated 8.1 by recent guests! The staff there is really kind and helpful. Breakfast there was quite satisfied. In such a cold windy day, it was really nice to have warm milk and several warm dishes on the morning. Breakfast was less than regular but the staff at the reception were nice enough to upgrade our room when the room we initially got wasnt very clean. The location is great as it is not near the traffic and noises and u can still reach the main road and metro station in less than 3 minutes. 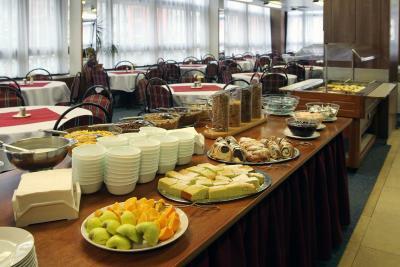 Very clean rooms and excellent breakfast for guests. The hotel is near trams and bus station for extra mobility. 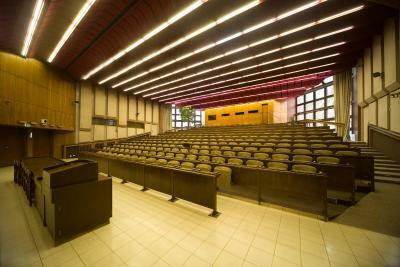 The room was big, everything clean and functional. 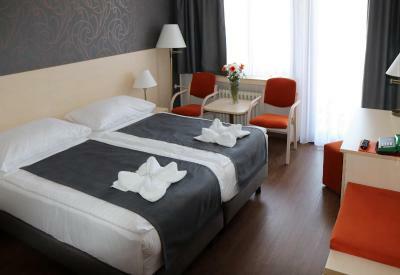 I liked quality of my room: it was cleaned and prepared very well, it was easy to get there from the airport and there were friendly staff at the check in point. We're in 14 the floor , the view is nice seeing the city. The price for what u get. The breakfast was better then our last stay. Hotel Krystal This rating is a reflection of how the property compares to the industry standard when it comes to price, facilities and services available. It's based on a self-evaluation by the property. Use this rating to help choose your stay! 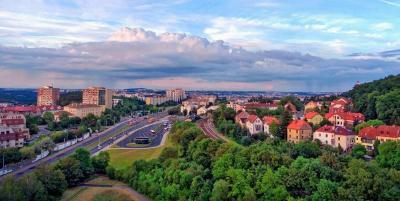 Only 1,650 feet from the Šárka Nature Park, Hotel Krystal is quietly set 3.1 mi from Prague’s historic center. 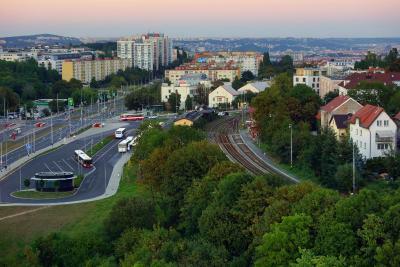 Metro line A and the closest tram station are only few steps away. 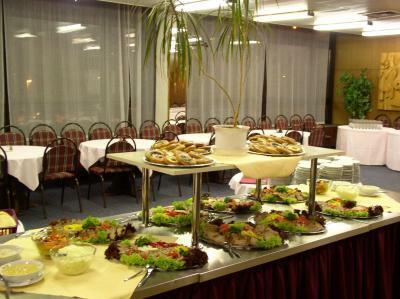 It features a restaurant serving Czech and international dishes, and offers rooms with a balcony and TV. 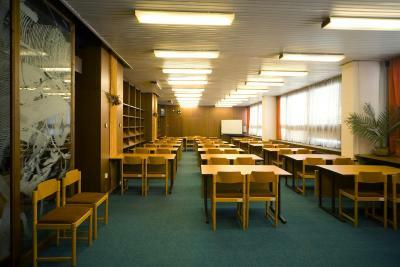 Free WiFi is provided in some rooms and public areas. 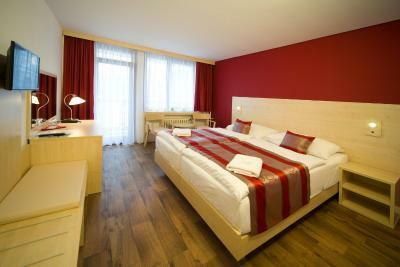 All rooms come with wooden furniture, a seating area and a fridge. 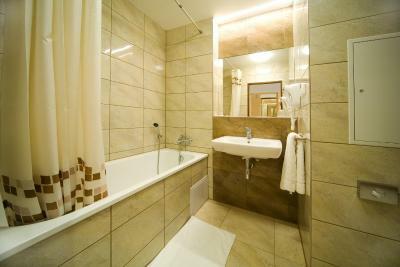 Each room consists of a private bathroom with a shower or a bathtub. A wide range of refreshing drinks is available at the bar. A taxi service is also available upon request. Džbán Lake Sport and Recreation Area is at a distance of 1,950 feet. 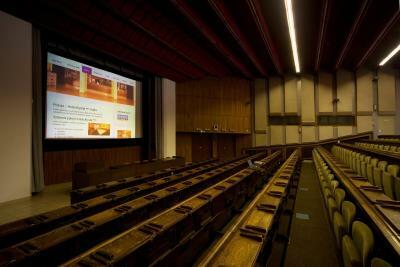 Prague’s Old Town offers many sights such as Prague’s Castle, Wenceslas Square and Charles Bridge. The Baroque Břevnov Monastery is 2.2 mi away. 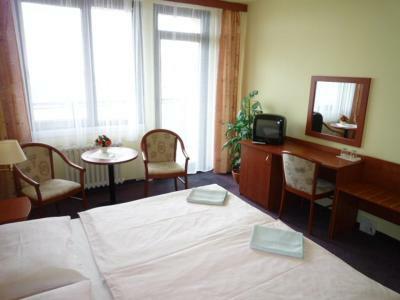 Vaclav Havel Airport is 4.3 mi from the Krystal Hotel. Free public parking is possible at a location nearby. When would you like to stay at Hotel Krystal? This room features a balcony, sitting area, fridge and a TV. 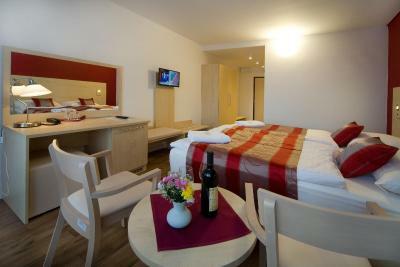 Offering a panoramic view of Prague, this room features a balcony, seating area, fridge and a TV. 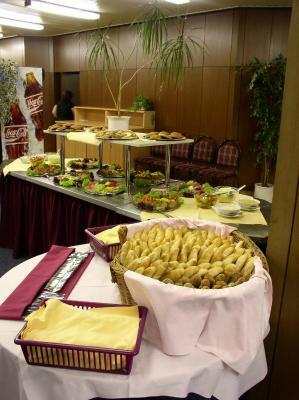 Hotel Krystal is ideally located between the city centre and Prague International Airport. 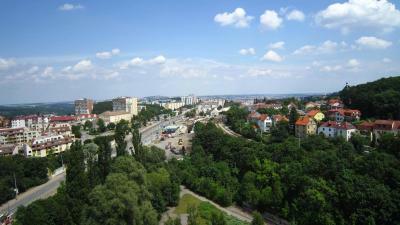 Metro line A and the closest tram station are only few steps far from the hotel. 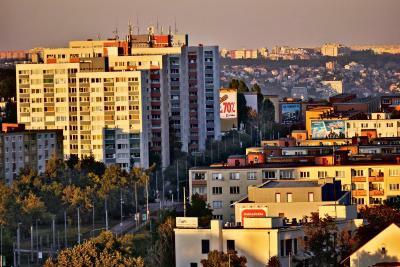 With Metro line A - Station Nadrazi Veleslavin you will reach the city centre and old city in a few minutes. House Rules Hotel Krystal takes special requests – add in the next step! Hotel Krystal accepts these cards and reserves the right to temporarily hold an amount prior to arrival. Exterior old style, resto/breakfast oldisch ., room was modern and clean. Not a fresch location, parking in front and in hotel. Good location. Easy access to trams and buses. If you want to see a hotel in the traditional comunistic style, it is definitely for you. It was very near to the underground station therefore we stayed there. If your flight is early in the morning, it is a good choice. Friendly stuff Roam ok My fault, what I expected by this low cost in Prague. The room & towels smelled bad, the room was very outdated, and the beds were hard. The area felt unsafe. Great location, good value for money, clean room. 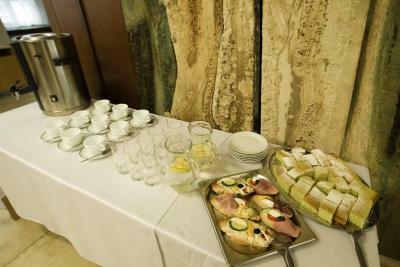 Breakfast was a very basic buffet however it was plentiful. The location is great for an overnight stay for an early morning flight as the 119 express bus to the airport is only 10 minute walk away. Staff were helpful and friendly. Breakfast c an be improved. 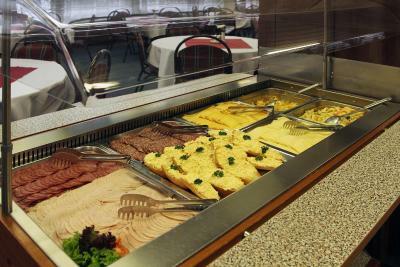 Strange to find pasta, potatoes and meat in the breakfast. 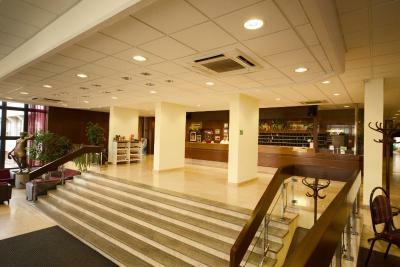 Excellent location to airport and city centre. Tv could have included Italian channels. 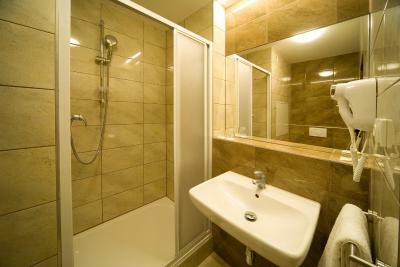 Shower holder for bath equipped rooms should be at least 2 meters above bath tub floor and not 30cm above mixer. A safe in the room is needed. King sized bed was great. Room was equipped with a fridge. Furnishing were new. There is no lift from ground to reception. Room was specious and clean.